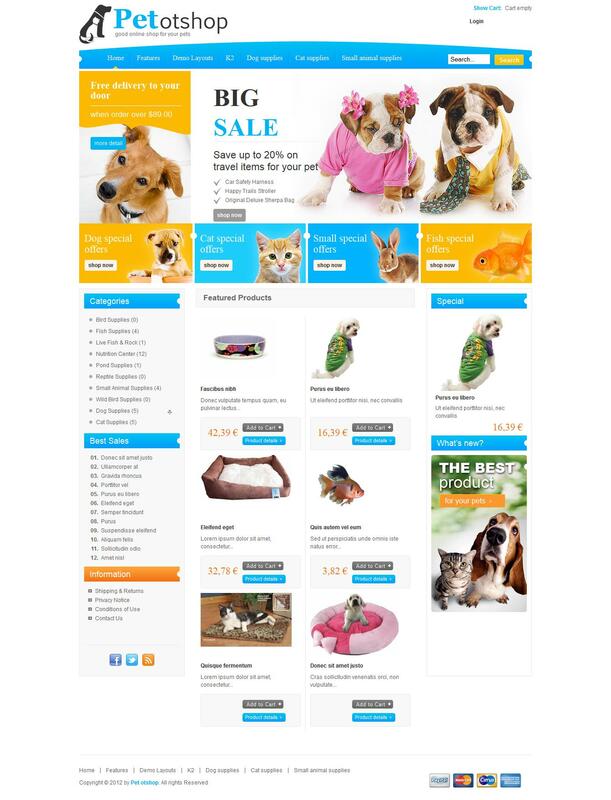 OT PetShop - once a professional online store template from the design studio with full support for versions 2.5 and Joomla 1.5. Template design is made in bright colors, this presence 15 module positions, providing a high-quality store. The presence of additional studio extensions and flexible to configure platform Solid Framework attach great functionality pattern, stylish appearance and quick loading.